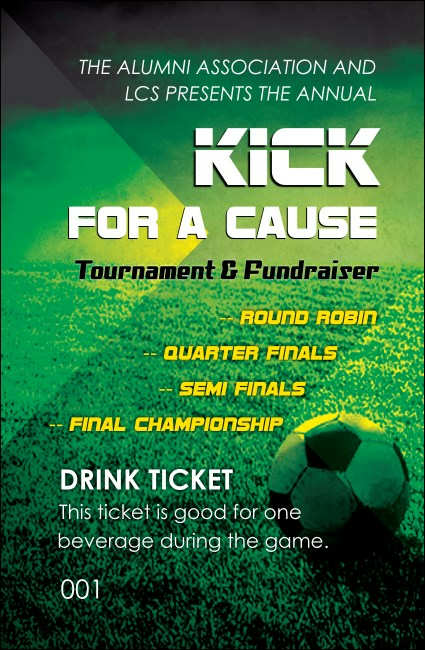 Give your guests a quick pass to the bar when you give them Soccer Field Drink Tickets at your next big game. These colorful, bright green ticket templates feature the image of a soccer ball on a rolling field, and each one gives you room to customize twelve lines of text with all your event details. Keep your event in play at TicketPrinting.com.